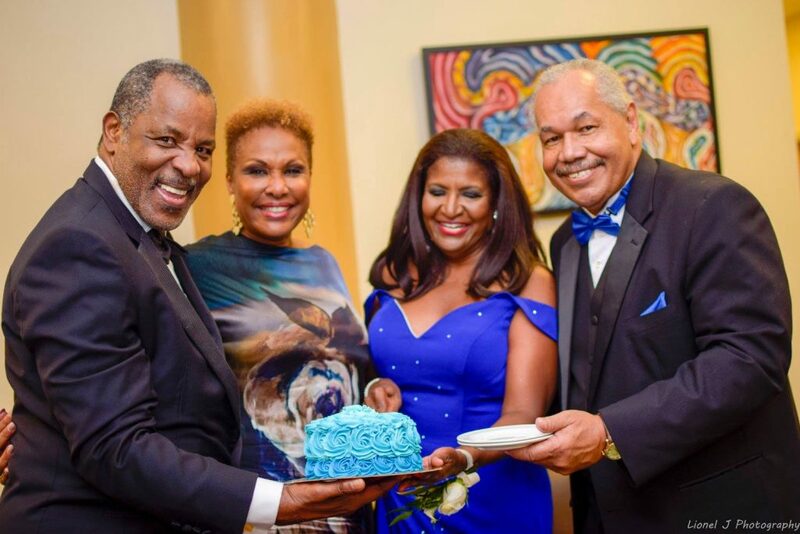 Sir Franklyn Wilson and Sharon Lady Wilson joined Dr. Christina Ramirez Smith and Dr. Rodney D. Smith to commemorate the first anniversary of the charter of UB at the President’s Gala Soiree held on 11th November 2017. Mr. Damian BlackBurn of Aliv, one of the main sponsors of the soirée, offered a toast at the event. 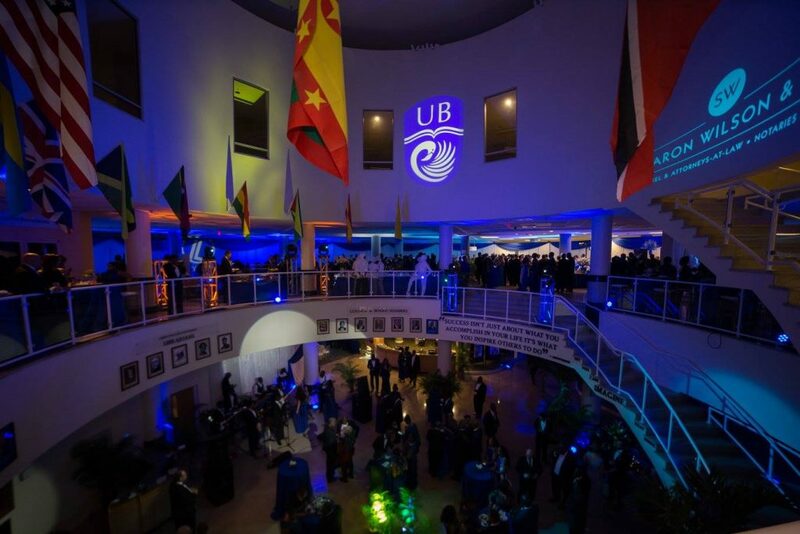 The Harry C. Moore Library & Information Centre at UB’s Oakes Field Campus was transformed into an elegant enclave. 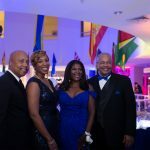 A scene from the President’s Gala Soirée held at the Harry C. Moore Library & Information Centre at UB’s Oakes Field Campus. 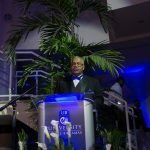 UB President Dr. Rodney D. Smith addresses the guests. 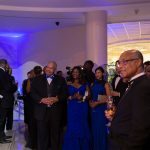 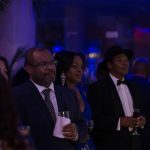 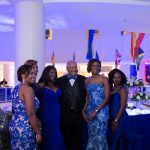 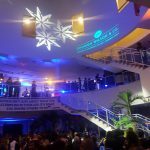 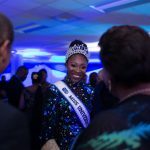 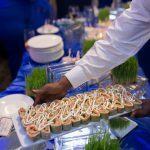 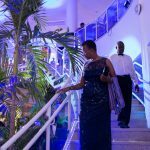 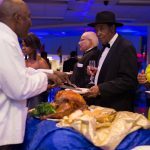 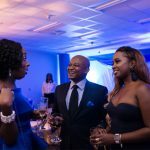 In a powerful statement about the community’s belief in the transformational impact of higher education, the University of The Bahamas President’s Gala Soirée has exceeded the anticipated fundraising target. 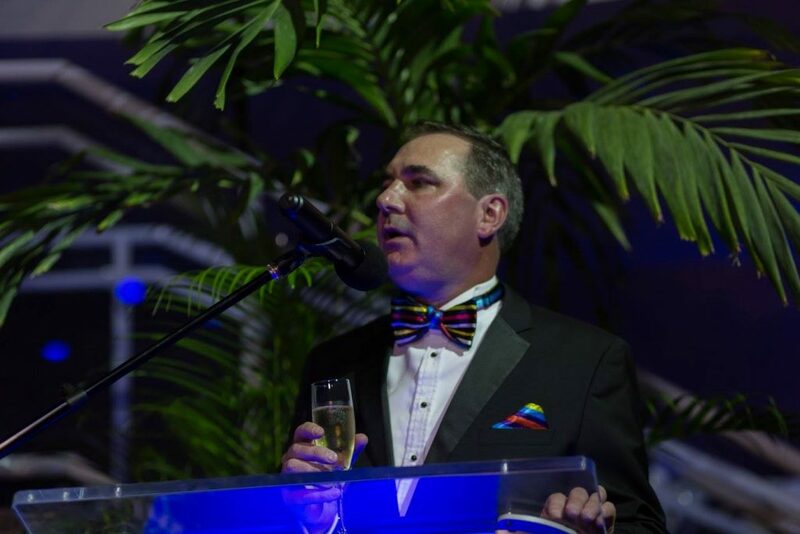 The inaugural event was the institution’s first major fundraiser since transitioning to University. 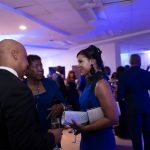 The Soirée paired excellence with elegance as sponsors and donors joined the UB community at the Harry C. Moore Library and Information Centre. 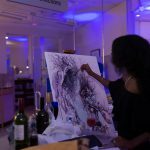 It was a celebration of student talent and potential. 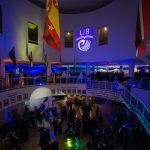 The occasion also commemorated the first anniversary of UB, chartered on 10th November 2016. 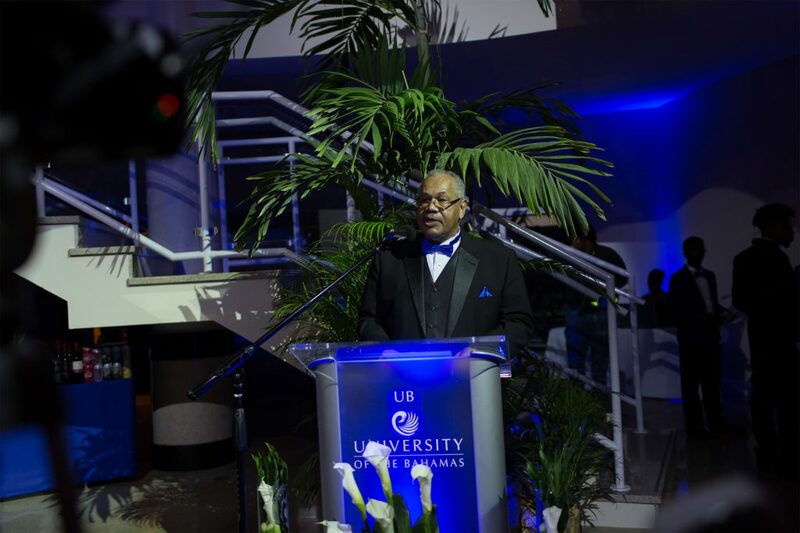 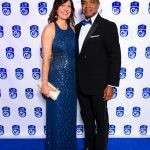 UB President Dr. Rodney D. Smith, who also observed the first anniversary of his inauguration as UB President, thanked the many corporate sponsors, donors, friends, alumni and UB constituents who helped to make the fundraiser overwhelmingly successful. 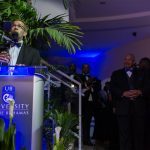 “We have exceeded the goal of $500,000 in cash and pledges for the endowed scholarship fund to support first-generation University students. 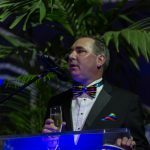 These funds will benefit and change the lives of thousands of students, and by extension, families and entire communities. 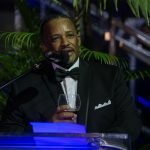 This is the beginning of the next phase in the growth and development of the Bahamian people, through access to education,” noted Dr. Smith. Major sponsors for the Gala included Aliv, Sharon Wilson & Co., IL Cares, Doctors Hospital, Ernst & Young, Credit Suisse and New Providence Development Company Ltd. 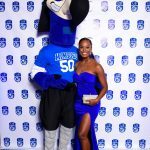 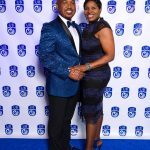 While celebrating the success of the Soirée, President Smith nonetheless invited private and corporate donors to continue supporting UB. 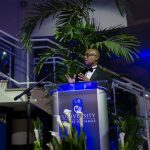 “The University still needs the generous support of all corporate donors. 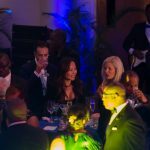 Our goal is to raise this endowed fund to well over $5M. We cannot do this without the annual contributions of alumni, sponsors, donors and the many friends of the University. 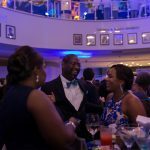 Please continue to give to the University and give as generously as you can. 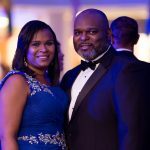 One donation will change a life and a community,” Dr. Smith pointed out. 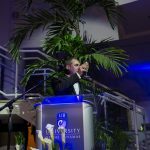 Student Government Association (SGA) President Stuart Hanna was also pleased that corporate and private donors are supporting student scholarships. 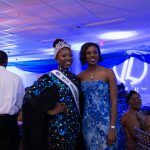 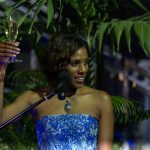 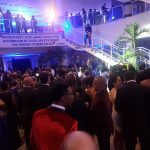 “As a result of a successful Soirée, capable young Bahamians will be given an opportunity to obtain tertiary education at University of The Bahamas. 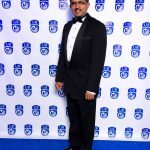 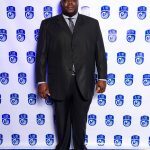 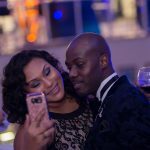 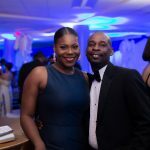 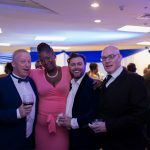 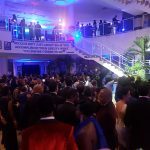 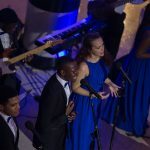 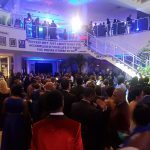 These kinds of fundraising events bring immeasurable value to the advancement of the University, its students and the Bahamian society at large and show that the University is moving in the right direction,” said Mr. Hanna. 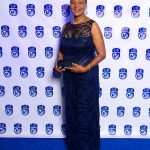 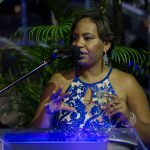 Vice President of Institutional Advancement and Alumni Affairs Ms. Davinia Blair said that the level of partnership and support from corporate Bahamas for the Soirée was encouraging as the institution becomes a stronger University. 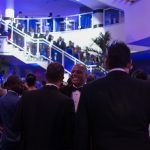 “The overwhelming demonstration of support by faculty, staff, alumni, corporate partners and friends at the Gala truly touched the hearts of many, in particular our students, who will benefit from the endowment. 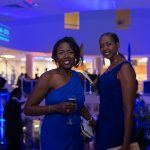 I am grateful for the stellar partnership with Fusion IMC and Events by Alexandra to accomplish this feat. 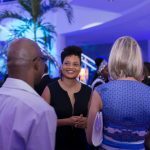 Also, I am thankful to all of our donors and am confident of a promising path ahead for our nation,” Ms. Blair asserted. 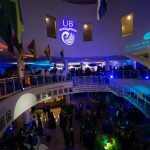 The Harry C. Moore Library and Information Centre was transformed for the Soirée into an enchanted and elegant enclave featuring the UB Concert Choir and Band, exceptional students who served as ambassadors at the event and a live art demonstration by UB student Minolta Butler who used wine to create a captivating painting. 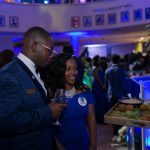 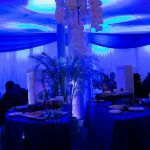 The band Ambasah also provided entertainment, and exquisite cuisine and beverages, including the signature Blue Scholar cocktail, were served. 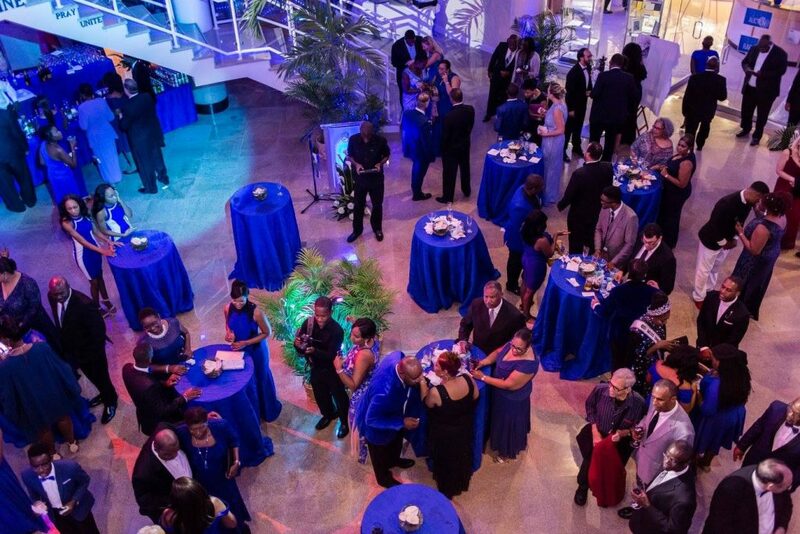 For posterity, commemorative brochures were given to guests as mementos.